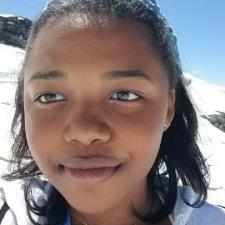 I'm Kailia and I would definitely consider myself a "math nerd", always excited to learn more and share my knowledge with others. As a high school student, I started my freshman year taking pre-calculus honors and ended my senior year having successfully finished both Calculus 3 and Statistics at the college level. Understandably, others sometimes don't understand or can't relate to my love of the subject. But more times than not that's due to lack of understanding of the content. This may be due to the lack of one-on-one guidance or just the need for a little more time spent reviewing. Through my involvement in honors societies (Mu Alpha Theta) and other work experiences, including a job at Kingswood Acadamy, I have tutored and taught math to many students with ranging ages and learning abilities. Through my personal experience as both a student and a teacher, I have realized that in order to be a good tutor, you need to know more than just the content. You need to be able to explain the content in many different ways so that your student can understand and you need to be able to read in between the lines of the non-verbal communication in order to see if the students truly understand the content. My education background includes general studies taken at Columbia University in the city of New York and Engineering courses taken at Florida Atlantic University. I've been tutoring for over three years specifically at the high school level. I have also worked at Kingswood Academy preparing and teaching lesson plans (mostly math) to children 6 to 12-years. I scored a 710 on the math portion of the SAT which is mostly algebra and geometry. I'm constantly taking math courses and refreshing my basic skills. Having taken Calculus 3 at Columbia University, I'm able to provide oversite as to how the math learned in the earlier years all connect to more advanced math and even to the real world. Nobody NEEDS to struggle through math. With the right guidance, math is a subject that you can enjoy... or at least tolerate.